Create a simple portlet with JBoss Forge! That’s it! The plugin will be downloaded and installed. From the forge prompt, create a new project and install the PortletFacet. This sets up your pom.xml. Once the Facet is installed, you can create new portlet. If you used GateIn, add the new archive in the deployment directory. Via the admin page, import the portlet and add it in a page. Multi-module code coverage with JaCoCo and Sonar! I would like to share my first experiment of test coverage for a multi-module maven project with sonar and JaCoCo. mvn clean  test -DargLine="-Dsun.lang.ClassLoader.allowArraySyntax=true -Xms512m -Xmx512m -javaagent:D:\Users\jer\agent-all-0.4.0.20100604151516.jar=destfile=../target/itjacoco.exec,append=true,includes=org.printstacktrace. *,excludes=*_javassist_*"
Thanks to the sonar team for this plugin. The data is in section it covergae tab, because we use « itReportPath » to merge the informations. We must manually download and configure the agent. So, waiting for the next version of the JaCoCo sonar plugin. 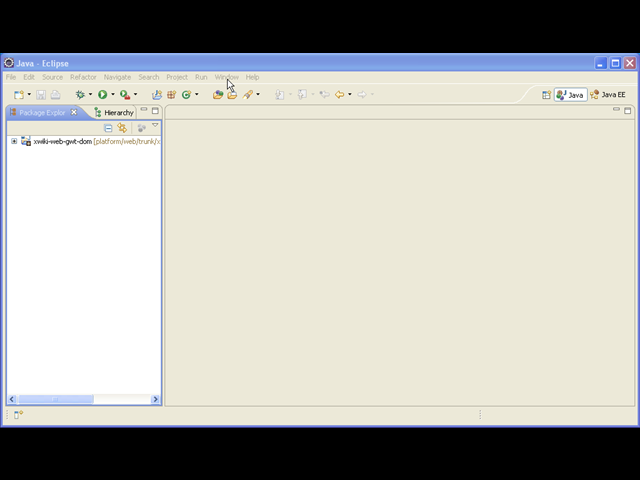 This video shows how to bind a sonar site with Eclipse using the sonar4eclipse plugin. Good news, this month, the sonar team has just started a new plugin « sonar-ide ». If the part about eclipse is going well, I’ll stop this one. This presentation creates three projects. A main application myapp and two modules, module1 and module2. It uses the concept of waroverlay to integrate the two modules. Voici un exemple d’utilisation des règles PMD définies dans un fichier pom.xml par sonar. La synchronisation n’est pas automatique mais peut se faire simplement. On doit décrire les nouvelles règles façon sonar, et déployer le tout sur le serveur. Maven permet de configurer des règles pmd spécifiques. <rule name="PrintStackTracePackageName" message="Package name must start with org.printstacktrace"
Package name must start with org.printstacktrace. dé-zipper le fichier extensions.zip dans le répertoire de sonar (installation des nouvelles règles). activer la nouvelle règle dans le profil sonar. Trouver un plugin sonar de synchronisation des profils de check sonar avec la configuration maven. Réaliser les plugins si dessus, si ils n’existent pas.